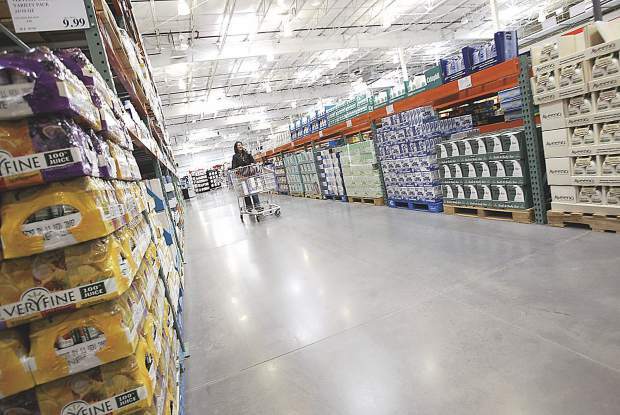 Gypsum's Costco store has significantly changed shopping habits for Eagle County residents since it opened 10 years ago. GYPSUM — Last Friday was diaper day for Candice Bortz. That means her Costco shopping cart was heaped with diapers and wipes, essential items for the Bortz household because the family includes two toddlers. Along with the baby needs, Bortz’s shopping cart included various food and household items. Bortz said it seems like she shops at Costco every other day. Ten years ago this week, the retail landscape in the lower Eagle Valley changed forever when the Gypsum Costco store opened. For local families, the store opening meant they didn’t have to travel out of town for many purchases. The store opening also meant that people from other parts of Colorado had a reason to travel to Gypsum to shop. Outside of family budgets, which profited from a nearby price conscious big box retailer, the town of Gypsum has been the big beneficiary of the Costco store. Gypsum Town Manager Jeff Shroll noted that the town had already passed a bond issue and launched construction of its recreation center before Costco announced its plans to build in the community. But Shroll spent a lot of sleepless nights, going over the figures in his mind to make sure the community would be able to pay for the amenity. Once he heard the national retailer was coming to Gypsum, Shroll didn’t have those worries any longer. Gypsum has a long list of capital projects completed since the store opened. The town has completed road enhancements, made open space purchases, developed parks and more. “How many towns build libraries without a bond issue?” said Shroll, pointing to one of the large projects Gypsum has undertaken in the past decade. In addition to the financial impact that Costco has had in town, Shroll said the company has also brought needed jobs to Gypsum. “The fact that they are such a large employer downvalley gives people the chance to be done with the commute,” he said. Carlson noted that Costco employs 160 people and the company is widely recognized as having one of the best salary and benefits packages in the retail industry. As a result, Carlson said Costco sees a much lower turnover rate that other retailers. “We are all about people, that’s always been the structure of our company,” he said. While Costco’s prices are often cited as the big draw for shoppers, lower valley residents cite the simple availability of merchandise as one of the biggest benefits of having the store nearby. Carlson noted that it isn’t just household shoppers who depend on Costco. “I have restaurant owners who I see every day in here,” he said. Carlson said the Gypsum Costco has a ready local market of small businesses that shop at the store for produce and products that they transform and mark up for their own business. 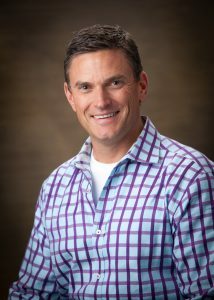 “I am always asking myself, how do I help people grow their businesses,” said Carlson. Household, regional and commercial shoppers are part of the demographic that makes the store work, said Carlson. The Gypsum Costco is obviously not located in a large urban area, which is more of a norm for the company. However, Carlson said the company does have other stores located in less dense areas. It’s all about growth potential when the company considers a location. While the store isn’t one of the busiest Costco operations, Carlson noted it isn’t the slowest. And, in fact, the Gypsum Costco has one of the largest average ticket statistics companywide. Those factors helped the operation weather the devastating national recession that hit just two years after it opened. On the topic of storm-weathering, when the Costco store opened in Gypsum, some people wondered how the neighboring community of Eagle would be affected. Eagle was actually negotiating with the company to locate the store in east Eagle, but when that deal fell through, the retailer decided to locate in Gypsum. However, McKibbin also noted that Costco didn’t kill retail in Eagle. For example, the Eagle City Market is in the midst of a large expansion project and last year the town saw a double digit increase in sales tax revenues. She added that for a number of years, the towns of Eagle and Gypsum participated in a revenue-sharing agreement for Costco sales tax receipts. That agreement generated in excess of $300,000 in revenues annually for Eagle. “That was fairly instrumental in us being able to pull off the Eby Creek roundabouts project,” said McKibbin. During the past 10 years, Costco has developed into something of a social hub for downvalley residents. Shroll said he often heads over to the store to grab a slice of pizza for lunch. He is sure to see a number of people he knows while sitting at the food court. “I know a guy who takes his whole family to Costco every Thursday, just to check out the samples,” said Shroll. Lindsey Christian, assistant manager at the Costco, has worked at the store since its opening. Sprinkled among familiar faces, local Costco shoppers sometimes spot famous ones. Kelsey Grammer, television’s Dr. Frasier Crane, is a shopper along with sports stars and even international dignitaries. Christain noted that one foreign diplomat makes an annual trip to the store. “When he comes in, his reciept will be down to the floor,” she said. This gentleman shops with an entourage and has even been know to hit the meat counter for prime cuts to feed his dogs. “He is a really nice man. He always gives us a big hug,” said Christian. Airport travelers are also big Costco shoppers. “We hear a plane come over and then the customers come in and you can tell where they are from based on what they are wearing,” said Christian. As one of the Eagle Valley High School track coaches, Shroll has seen the regional appeal of the Gypsum Costco. “When we host our invitational meet, almost every parent from every school needs a schedule so they won’t miss their kids’ races but also so they can plan when to make their Costco run,” he said. After years of having to leave the community to shop, it is a welcome new reality that community members don’t have to do that as often, he said.